Edges are subtly dislocated or adorned with tassels, jaunty little excrescences that marry the rugs to their surroundings as a tree or spire links earth to sky in a landscape. These seven new examples have all the hallmarks of Stella’s inimitable style, but speak with an authority that perhaps even she has not attained before. This is an artist working with supreme confidence at the very height of her powers. 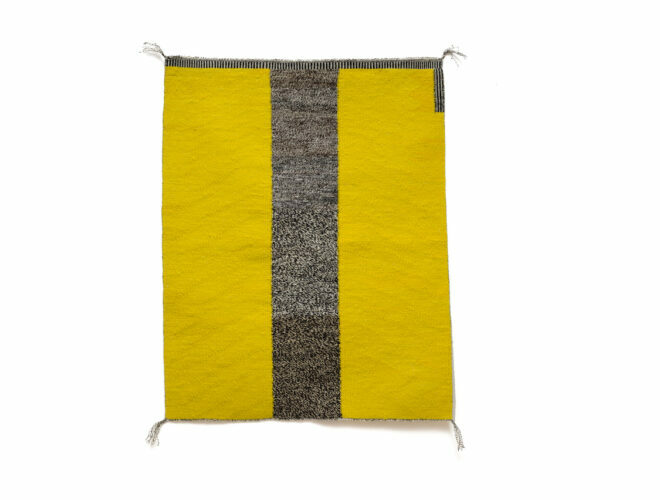 The rugs may be abstract in design, but there is nothing coldly analytical about them. On the contrary, they have a wonderful warmth and humanity, even a touch of humour. Visually and intellectually satisfying, gratifying our need for aesthetic delight, they also prove sympathetic when we crave rest or solace. They are like dearly loved, wise and understanding friends, the kind we are glad to see whatever our mood knowing they will never disappoint us. Stella Benjamin moved to Cornwall in 1956 and was later an assistant to the sculptor Dennis Mitchell and a decorator at the Troika Pottery. 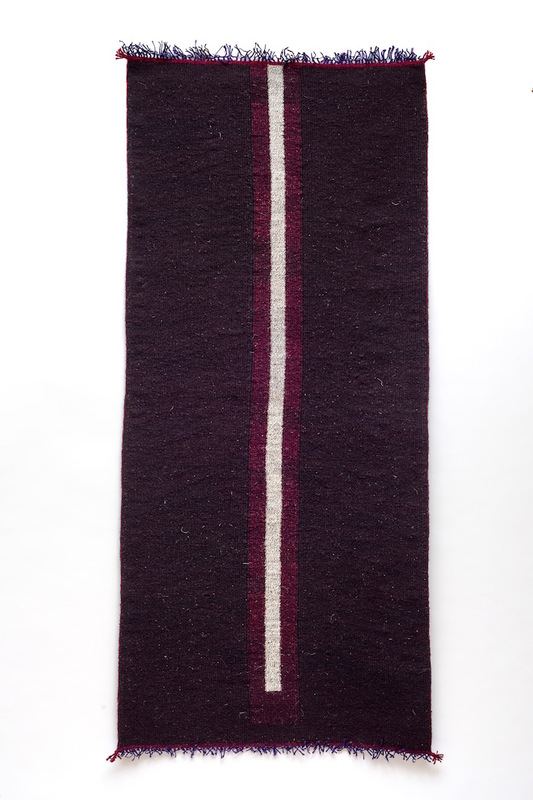 She was taught to weave by Breon O’Casey in the late 1970s, when she was working in his Porthmeor studio, and in 1979 she installed a Navaho-type loom, built for her by Bryan Illsley, at her home in St Ives. She uses handspun Turkish sheep’s wool and goats’ hair yarns, which she dyes herself.